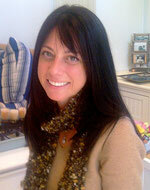 About Dr. Beth - Beth Levy, Ph.D.
Dr. Beth has been helping families for over 15 years. She is a consultant and evaluator for the Mirman School for Gifted Children and Head Start Preschools. She works with the Pasadena School District Preschool Team, the Regional Center and Children's Hospital USC Affiliated Program. She lives and works in Santa Monica. Her office is a cozy, home-like environment designed to make your child feel comfortable and at ease. Psychological assessments and evaluations for Regional Center Clients with variety of developmental disabilities, including Autism, Mental Retardation, Hearing Impairments, Down Syndrome and Cerebral Palsy. Responsibilities include: clinical intake interviews, psychological Assessments, diagnosis and making recommendations for Treatment planning and intervention services. Psychological Assessments and evaluations for assessment of Giftedness. Responsibilities include: clinical intake interviews, administering IQ and academic tests, treatment planning and educational counseling. Psychological assessments and evaluation for developmental Disorders - specializing in infant assessments and treatment planning, Autistic Spectrum Disorders, Attention Disorders, Learning Disabilities. Responsibilities include: Educational placement, treatment planning and diagnosis. Psychological Assessment for the Infant and Preschool Program for children with a variety of developmental disabilities including Autism, Mental Retardation, Speech and Language delays, Hearing Impairment, Learning Disabilities, Orthopedic Impairment, Down Syndrome, and Cerebral Palsy. Responsibilities include: clinical intake interviews; psychological assessments of children (aged 0-5) utilizing the Bayley Scales of Infant Development, McCarthy Scales of Children's Abilities, Ordinal Scales, WISC-II, Woodcock Johnson Achievement Tests, Roberts Apperception Test, Achenbach Behavioral Rating Forms, and Vineland Adaptive Behavioral Scales; School Planning; holding and administrating over IEP meetings; developing individual behavorial plans; teacher consultation; and parenting consultation. Psychological assessments and evaluations for Regional Center Clients with a variety of developmental disabilities including Autism, Mental Retardation, Hearing Impairments, Down Syndrome and Cerebral Palsy. Responsibilities include: clinical intake interviews, psychological assessments diagnosing and making recommendations for program planning and intervention services. Supervisor: William M. Lamers, M.D. Psychological assessments and evaluations for court cases involving allegations of emotional distress. Specific tests utilized: Wechsler Adults Intelligence Scale-Revised (WAIS-R); Minnesota Multiphasic Personality Inventory (MMPI); Bender Visual Motor Gestalt Test; Thematic Apperception Test; Projective Drawing Tests and Sentence Completion Tests. Supervisor: Marie Kanne Poulsen, Ph.D. Mental health consultation with Pacific Asian Consortium Employment Head State Preschools in Los Angeles and with Community Housing Projects Head State preschools in Pasadena and Glendale. Services include providing consultation with administration and teaching staff on adaptive classroom behavior, providing guidelines to foster socialization and emotional development among children (e.g., an 8 week classroom curriculum was developed for teachers to foster emotional health in preschool children), and developing brochures ("Points for Parents" and "Tips for Teachers") to aid in helping children with more adaptive functioning both in and out of school. Other responsibilities include assessment, diagnosis, crisis intervention, and cognitive testing for Head Start preschool children and their families. Currently, also working with the preschool assessment team from Pasadena Unified School District to conduct cognitive assessments and attend IEP meetings to determine appropriate school placement and planning. Diagnosis and psychotherapy with children, parents and families. Responsibilities include: individual and family psychotherapy; clinical intake interviews; psychological assessments of children utilizing the Bayley Scales of Infant Development, WPPSI-R, McCarthy Scales, WISC-III, Wide Range Achievement Test for Children, Robert's Apperception Test for Children, Children's Depression Inventory, and Woodcock Johnson Achievement Tests; treatment planning; leader of social skills groups, sexual abuse groups, and parenting classes; case presentations; and formal training in sand tray therapy. Planning and coordination of a clerkship program involving first year Ph.D. students from California School of Professional Psychology. Responsibilities include: individual and group supervision in administering, scoring, interpreting and formulating write-ups of assessment batteries; development of a didactic curriculum; deliver lectures on the administration, scoring and interpretation of specific tests (Bayley Infant Scales of Development, McCarthy, WPPSI-R, WISC-III, RATC, Rorschach, and ADHD rating scales); deliver lectures on emotional and cognitive development of children between the ages of 0-5. Developed and coordinated a multi-disciplinary staff (including nurses, occupational therapists, speech therapists, social workers, and psychologists) in the development of a prenatal parenting and support group program. Participated in the early mental health committee meetings and planned and adopted policies for pregnant women. Presently also involved in developing a program for "at-risk" infants and toddlers and their parents. Supervise Ph.D. students in the administration, scoring, interpretation and formulating write-ups of psychological assessment batters for children and adolescents. SupervisorL Marie Kanne Poulsen, Ph.D. Direct clinical experience included participation in the Behavior in Babies Clinic. This clinic was developed as training clinic specifically for "at-risk" infants with special needs (e.g., Mental Retardation, Cerebral Palsy, Spina Bifida, Autism, and Pervasive Developmental Disabilities). The clinic provided experience in assessment (standardized and non-standardized/play-based), appropriate placement and early intervention programs for infants and toddlers. The clinic also provided ongoing and follow-up services for parents and children with developmental delays. Consultation with Head Start Preschools. Specific responsibilities included: mental health consultation for parents, children, and teachers; tailoring lesson plans to meet the special needs of Head Start Children; ongoing therapy with children; outreach services; and lectures and trainings for teachers and administration staff regarding mental health needs. SupervisorL Marie Kanne Poulsen, Ph.D./Cecile Falk, Ph.D. Diagnosis and psychotherapy with infants, children, adolescents and adults with special needs (e.g., mental retardation, learning disabilities, emotional and behavioral disturbances, physical disabilities, developmental delays). The program was geared toward training and multidisciplinary team of professionals. Emphasis was on training, leadership development and direct service. Responsibilities included the evaluation, treatment, planning and case coordination of specific cases. Specifically, responsibilities included psychological assessment utilizing a variety of psychometric instruments (e.g., Achenbach, WPPSI-R, WISC-III, WAIS-R, WRAT, Woodcock Johnson, Vineland, PPVT, Bayley Scales of Infant Development) and individual, family and group therapy. Presentation and lectures on various developmental and emotional disabilities were presented to first year psychology interns as well as interns from other disciplines. Individual counseling with children who were labeled "at-risk" for entering gangs; counseling with the children's families to evaluate risk factors; and monitoring and assessing changes in children's behavior after counseling. Responsibilities included: assessment of individuals who became handicapped on the job; locating appropriate vocational placements; and developing clients' coping skills to foster re-integration in the working community. Los Angeles Unified School District program whose goal was to mainstream physically handicapped adolescents with their peers in academic and social settings. Responsibilities included: individual and group supervision in administrating, scoring, interpretation and write-ups of assessment batteries including the WISC-III, RATC, Rorschach, ADHD ratings scales, McCarthy, Woodcock Johnson Achievement Test, Wide Range Achievement Test - Revised, WPPSI-R, and the Bayley Scales of Infant Development. Responsibilities included: developing and creating lesson plans; teaching doctoral students how to score, interpret and write-up reports using MMPI, WAIS-0R, WISC-III, Bender Gestalt Visual Motor Test, TAT, RATC, Projective Drawings and Rorschach Inkblot Tests; and giving feedback regarding students' performance on their testing reports and their clinical clerkship sites. Teacher's Assistant in a preschool classroom with children ranging in age from 2-5 years. Responsibilities included: developing and implementing lesson plans, teaching social skills, and encouraging children to develop their creativity. Preschool teacher's assistant in a classroom with children ranging in age from 3-4 years. Responsibilities included: developing and implementing lesson plans; teaching social skills and encouraging children to develop their creativity with an emphasis on religious and cultural values. Levy, B., & Snider, B. (April, 1995). Search and Reunion Expectations. Clinical Intake interviews and assessment of personality and intelligence of chronically mentally ill adults in a day treatment program. Specific tests utilized included: WAIS-R, MMPI, Bender, TAT House-Tree-Person, Kinetic Family Drawing, and Sentence Completion Test. Assisted with the research study on the correlations between depression and anxiety with specific eating disorder symptomatology. Responsibilities included: clinical interviews; administration, scoring and interpretation of the Beck Depression Inventory, the Hamilton Anxiety inventory, and an eating behavior inventory; and conducting statistical analyses using the SYSTAT computer package. Assisted with an ongoing research study on the effects of childhood head trauma on subsequent performance in school. Responsibilities included: clinical interviews and input of data using the SYSTAT computer package. Assisted with a large-scale investigation of the efficacy of undergraduate education in preparing students for subsequent graduate training and academic programs. Responsibilities included: formation of research design; background review of the literature; development of questionnaires; data collection; writing portions of the introduction, results, and discussion sections of the final report. © 2011 Beth Levy, Ph.D.